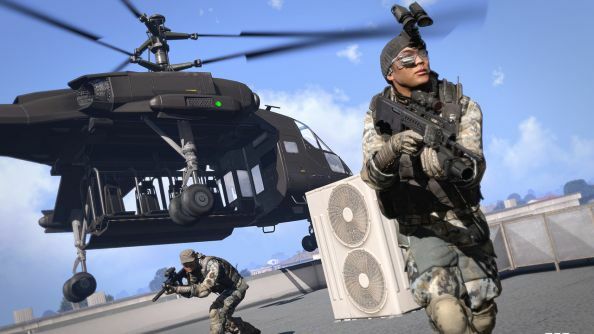 Bohemia Interactive have announced the release date for their second premium DLC, this time adding more helicopters to the game. The “highly detailed” CH-67 Huron and the Mi-290 Taru heavy-lift helicopters are the stars of the show, which will be able to transport cargo, troops, supplies and even light vehicles. There’s some free content too. Everyone will ten new VR helicopter training stages, as well as one helicopter time trial (four more are available in the DLC). The CH-67 Huron is modernised version of the CH-47 Chinook, responsible for heavy-lifting and support. It can be fitted with two side gunners, or more passenger space for greater capacity. The Mi-290 on the other hand is a modular helicopter that can be fitted for various mission types. It can also transport light vehicles too with the aid of the new sling loading mechanic. The addition of these flying tanks opens up the recognition of a new mode: Support. In this multiplayer game mode, players will need to provide air support in various scenarios. Everyone will also be getting ten VR training stages to hone their skills at flying, and also one time trial; DLC owners get another four on top. Arma 3 has also been updated with the Rotorlib Helicopter Flight Model, which is an improved version of the model used in Take On Helicopters. The most important addition is that players can now shoot from vehicles as a passenger. 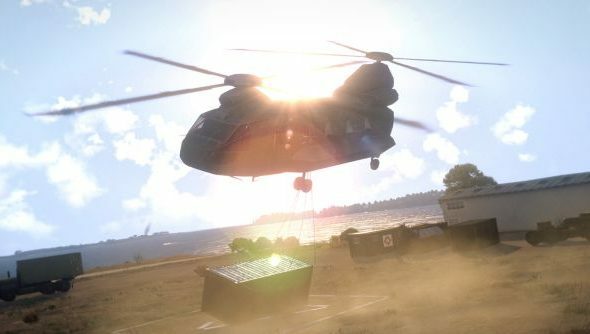 The Arma 3 Helicopters DLC will be out on November 4th for £16.99, $24.99 and 19.99 Euros respectively.